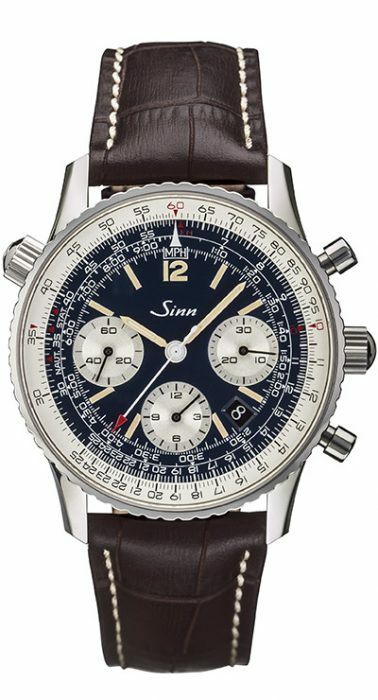 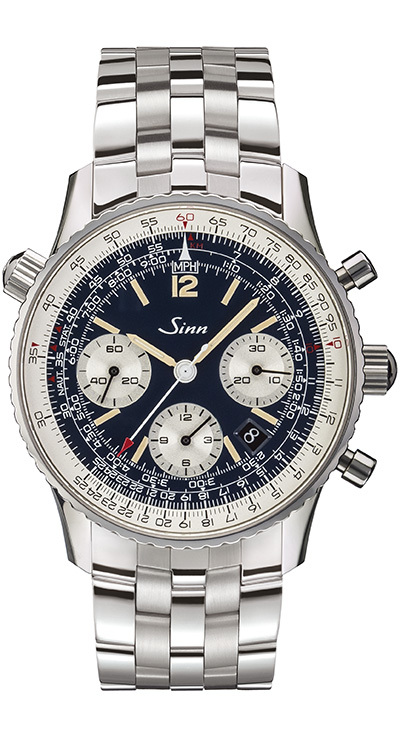 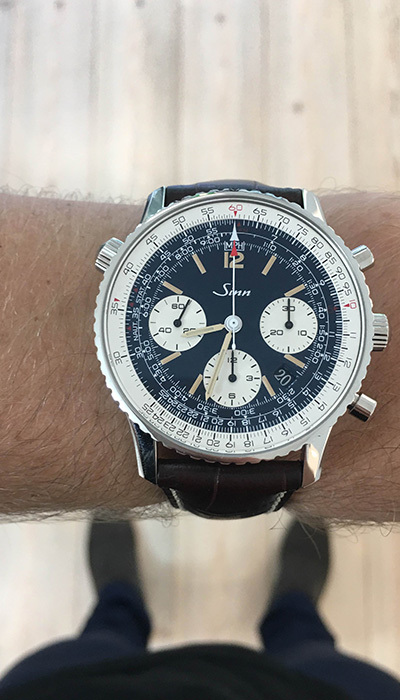 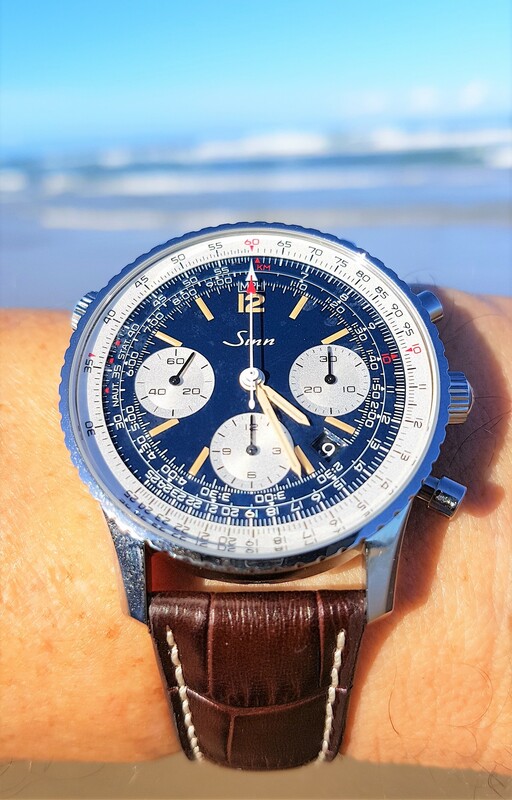 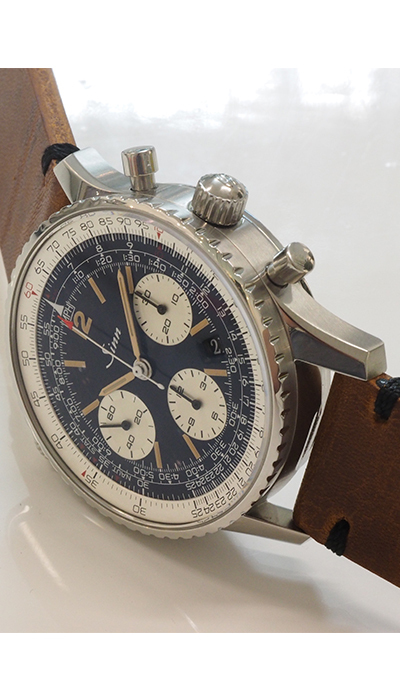 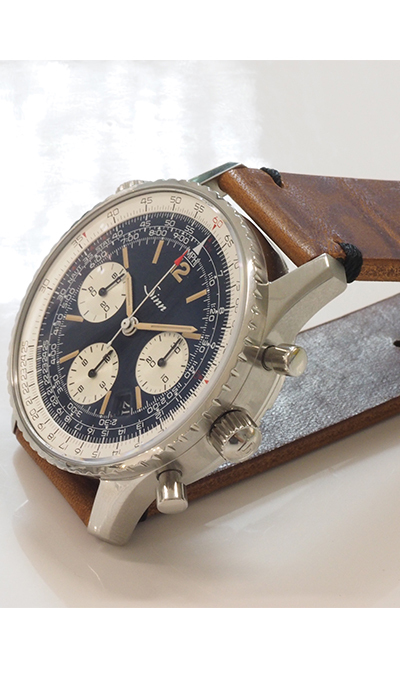 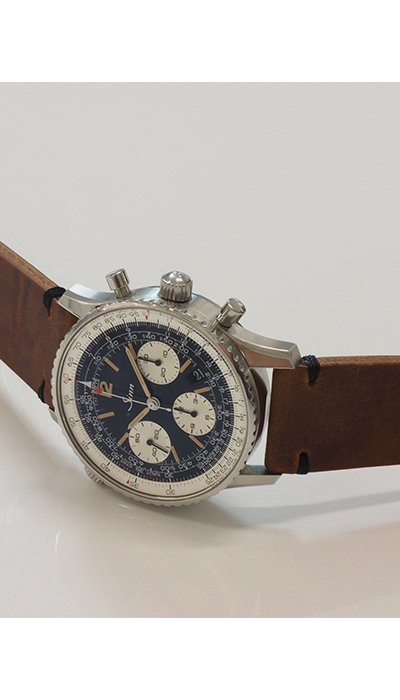 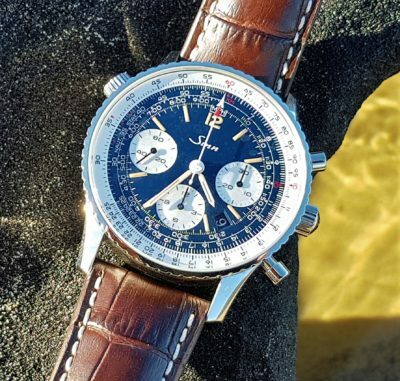 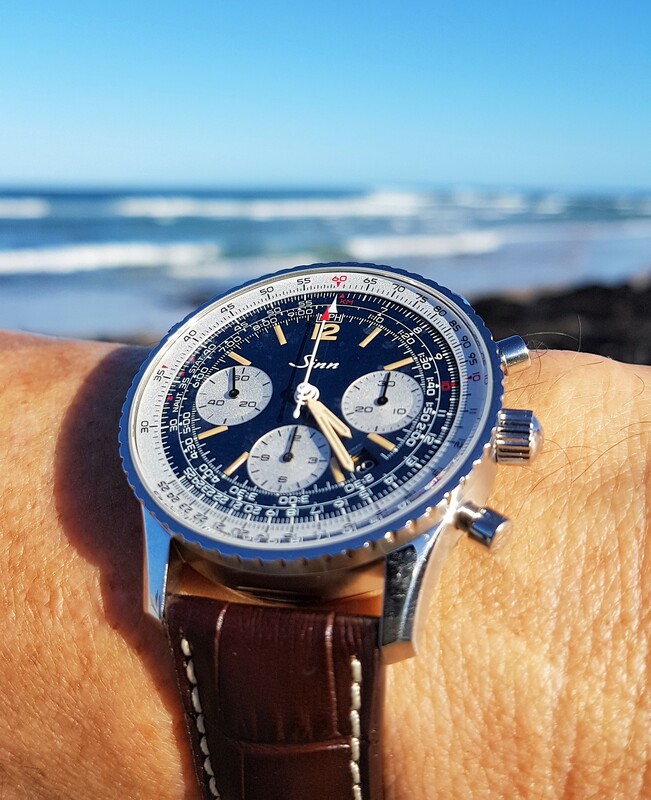 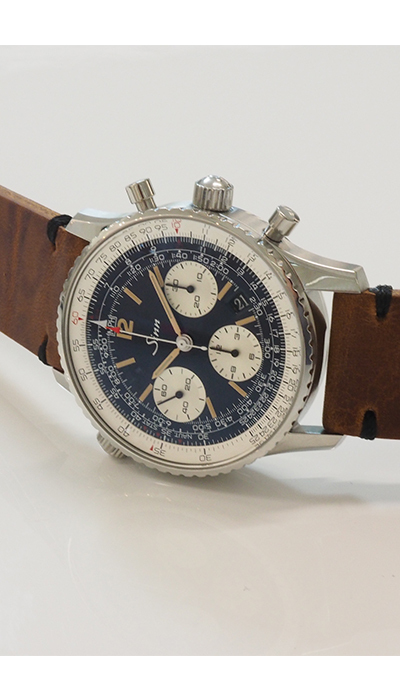 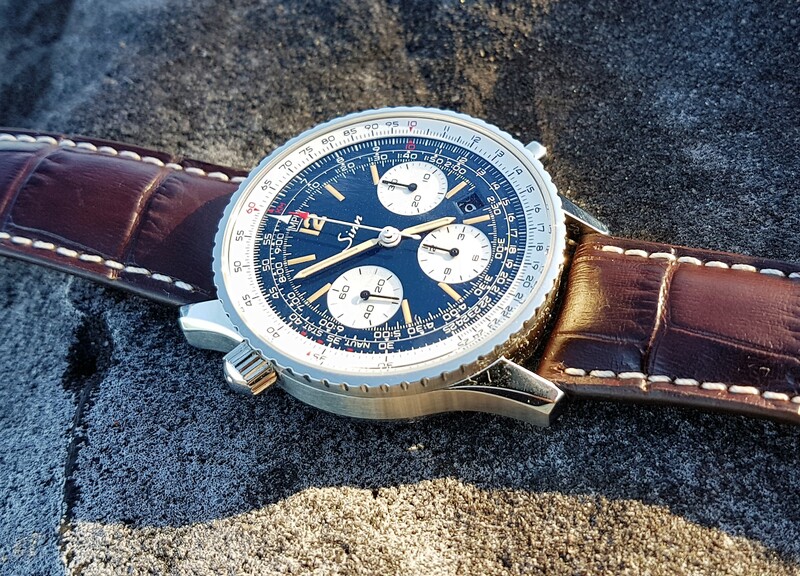 The 903 series encompasses Sinn’s classic navigation chronographs. 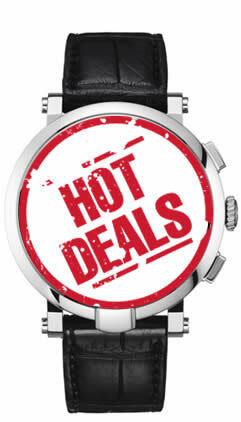 Each timepiece possesses a fascinating array of performance traits presented successfully on a well planned dial. 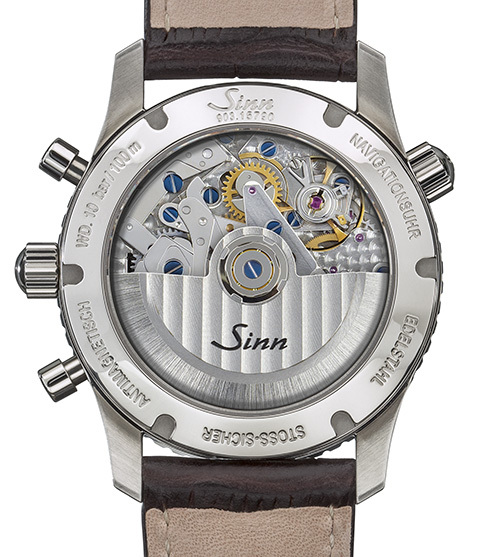 The dial itself is for the true connoisseur who can appreciate the clarity and arrangement of the various functions. 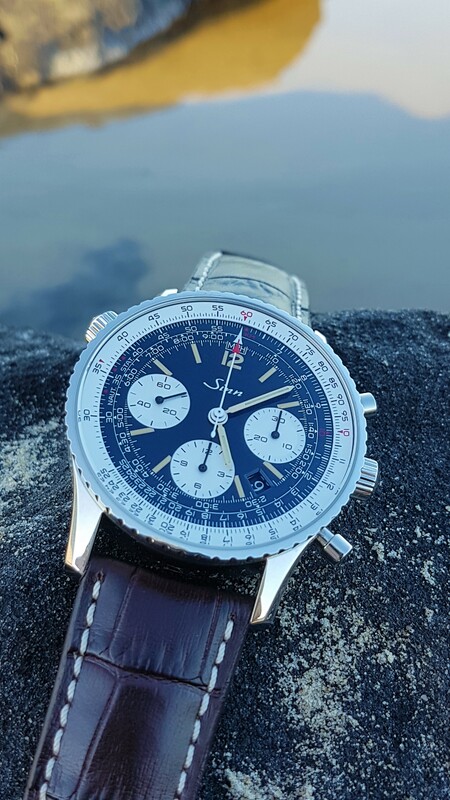 An interesting feature of the watch is the sapphire crystal case back which allows viewing of the mechanical masterpiece of the Valjoux 7750 movement with a circular grained finish, fine blue screws, and côtes de Geneve decoration on the rotor. 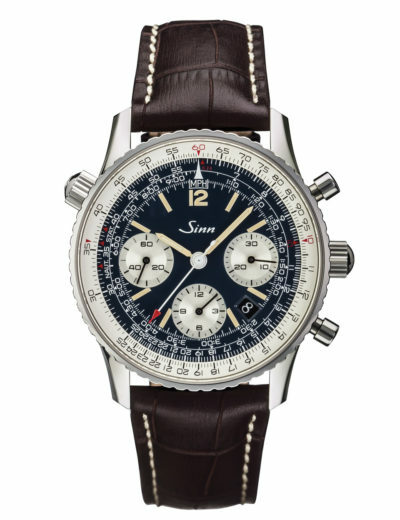 The addition of the extra crown at 10 o’clock is used to operate the slide rule around the outer edge of the watch case. Due to the intricate design of the Series 903 watches, it is not surprising to know that each watch in this series requires 30 different manufacturing processes to complete, and the 903’s dial is one of the most complicated of all Sinn’s watches. 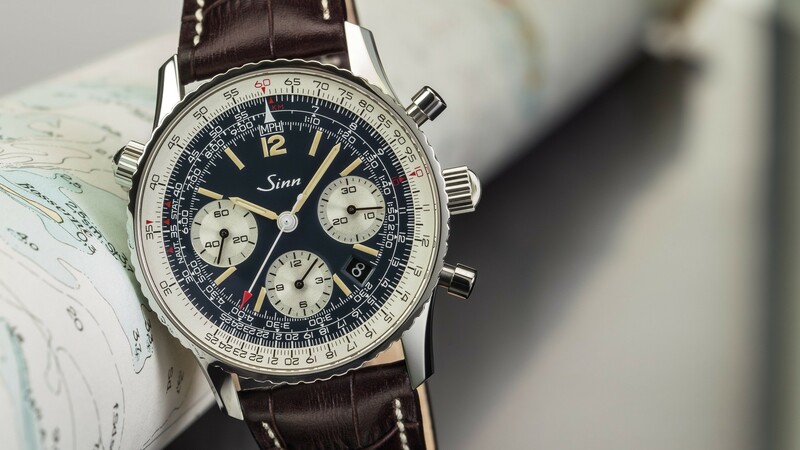 These timepieces are the ultimate toy for those who like to know exactly where and how they stand. 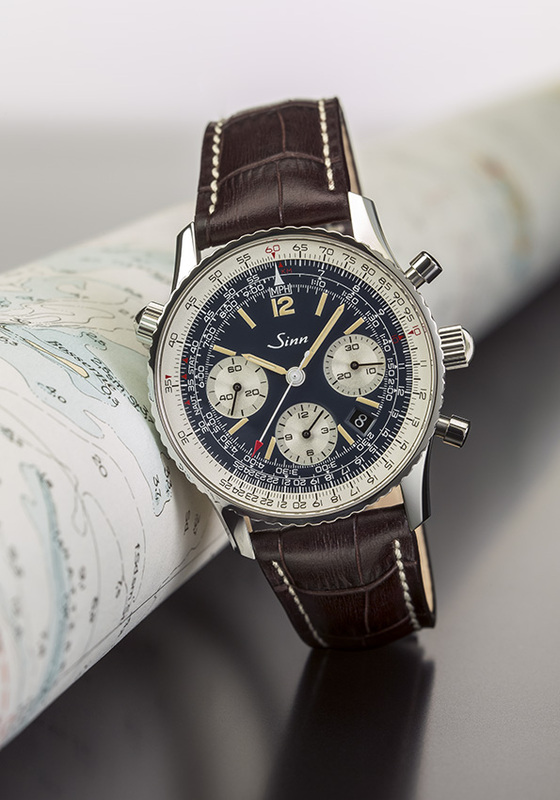 A navigator’s dream.